This photo does not come close to conveying how good that orange tastes. 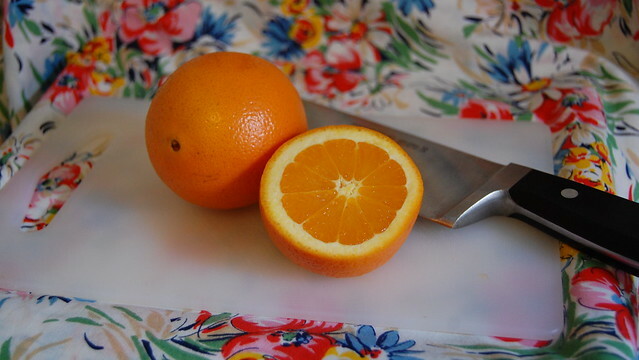 We’ve eaten about… 12 pounds of these heirloom variety navel oranges in the past couple weeks. We ran out Wednesday night and I am heading out this very afternoon to buy another 8 pounds. That’s how good these oranges are. ← Tom’s of Maine Deodorant : Is/Was It Good? Oohh! Where do you buy them? I have been craving this! I think all the Trader Joe’s have them. I’m full of envy. I <3 good citrus. What a great review! I manage the harvest of this ranch. They are reaching their peak, and are the best oranges I have ever eaten. This year is no exception. I would like to share this page with others in my company if you don’t mind. eating them right now for breakfast. they are amazing.